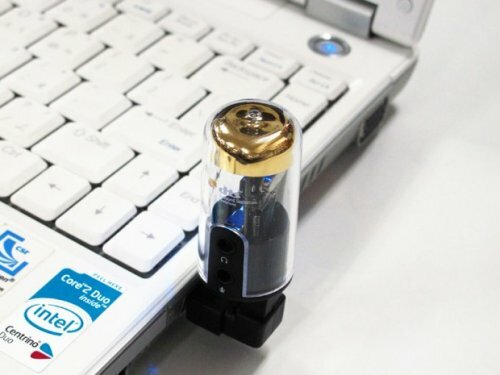 Hanwa has introduced a vacuum tube shaped USB dongle that adds a DTS surround sound headphone jack to your laptop. It's now available in Japan for the equivalent of around $45. Also dubbed AS301DTS, the dongle glows in blue when in use (see above). You’ll need two more things to enjoy DTS sound on your computer: “DTS Headphone Deck” (a piece of software) and DTS-compatible headphones (AH-516), but Hanwa throws in both items when you buy the dongle. Option-wise, there’s music or movie mode, voice clarification, and bass enhancement.